On Friday August 16, Mecum will auction this K2, chassis #1804 as lot #F150. This car was originally shipped to Los Angeles (Moss Motors?) on December 1, 1950. The car was originally painted blue, but is now looking good in BRG. This car is unique in that it was one of a few K2's to come equipped with a DeDion rear end. The car now sports Hallibrand wheels, Brooklands wind screens, and a Cadillac 331 with dual Carter carbs. 1804 was featured in the June 2010 issue of Auto Trader's "Classic Cars & Parts." 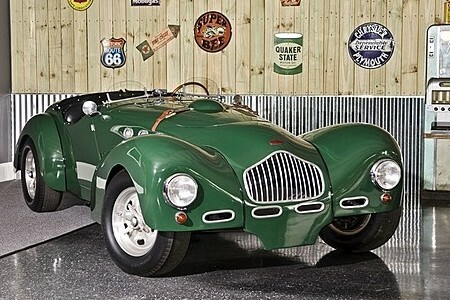 To learn more about the car and see additional photos, please click here to visit Mecum's web site.